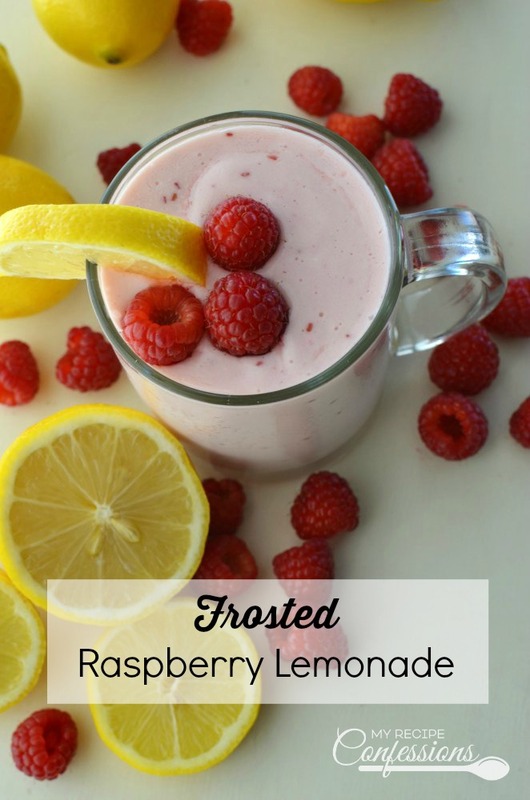 Frosted Raspberry Lemonade is the best drink ever! It is so refreshing. 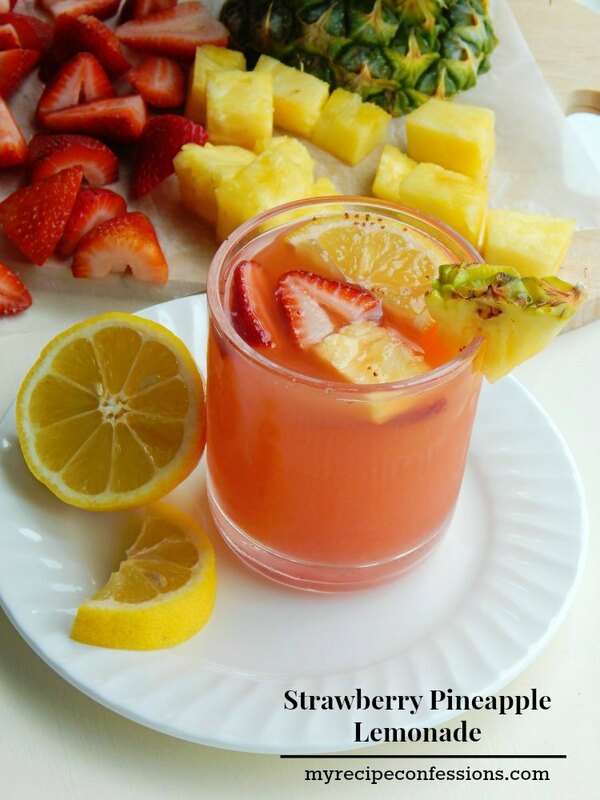 You only need three ingredients to make this mouthwatering drink. It so so easy to make, you could make it with your eyes closed. The Frosted Coconut Lemonade was a huge hit and I haven’t been able to stop thinking about the different variations I need to try. 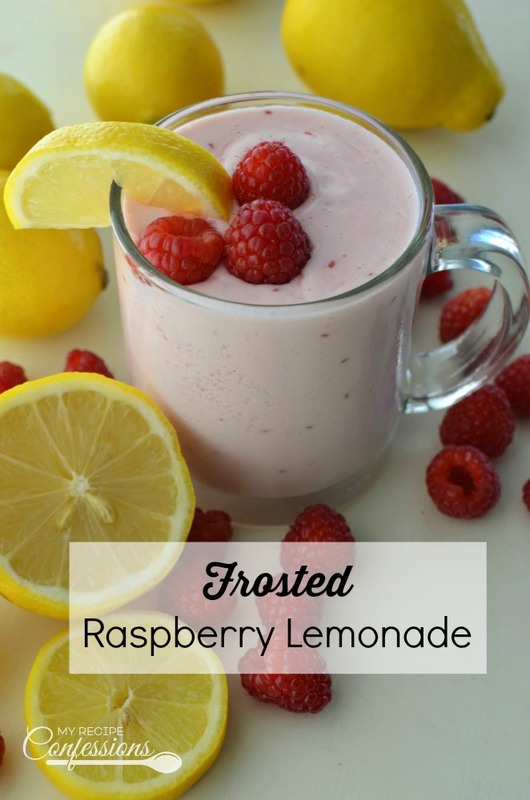 We are big raspberry lovers at our house so I knew that this Frosted Raspberry Lemonade would go over really well with my family. 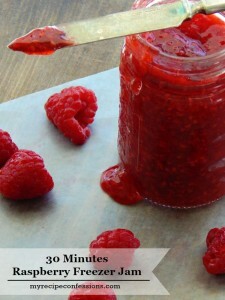 For the raspberry preserve’s, I used the 30-minute raspberry freezer jam. It tastes just like fresh raspberries. My husband said he likes the raspberry version better than the coconut version. I personally love them both. How can I choose between the two when they are both equally amazing? 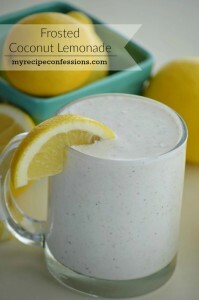 They are both so easy so make, you can easily whip up both drinks. There is no need to pick favorites. So, I’ll to leave that up to you to decide which one is your favorite or if you are like me and love them both. 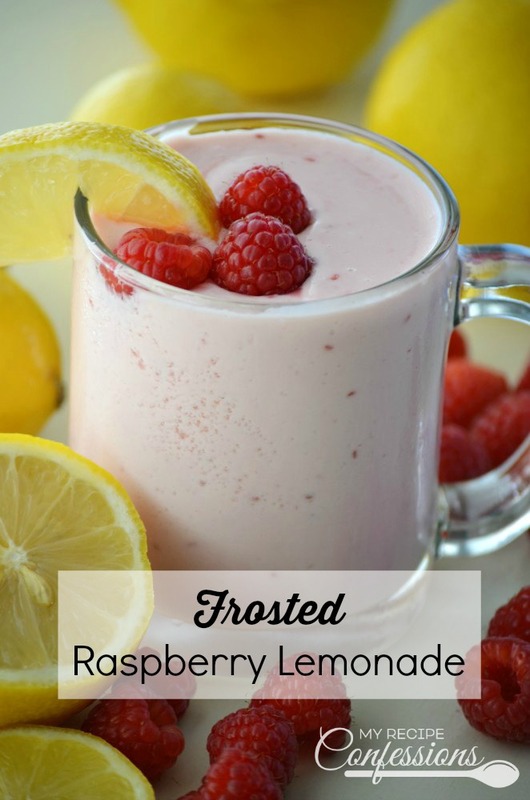 Add all the ingredients into a blender. Blend until smooth and creamy. Serve immediately. I never show food on my site without the recipe. I agree with you, it’s very frustrating when you are trying to find the recipe. If you click below the picture in the description that says read more it will pull up the recipe. Let me know if you can’t find it let me know and I will email it to you. Do you have any nutritional facts for your recipes? I need to watch my carbs and sugars in recipes, but love your recipes. I don’t have nutritional facts on my site yet. I am looking into it and hope to have it soon.